I remember my TWA days a little over a year ago when I use to look at natural hair blogs with that starry-eyed “one day” look (as I still do now). I’d think to myself, “Man, when my hair gets long enough to rock that, you can’t tell me nothin’!" I've always had a strong interest in hair care, but I've never allowed it to take precedence over the fact that I still need to study and exercise. Here are just a few styles that I was always so eager to try only to find out that, for me, they tended to be overrated. This was definitely a one time only thing. 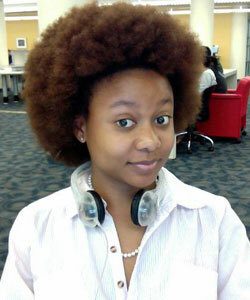 It was actually a style I rocked by default, but nevertheless, I wanted big hair. For some odd reason I decided to try dry-finger detangling after a long night of studying. I don’t know what convinced me to try finger detangling for the first time at 10 pm as if I don’t have work and class the next day but, I finished it — two hours later. As much attention and “I didn’t recognize you” whip flashes I got on campus, this was a mess trying to detangle. On top of a detangling disaster, the upkeep would have been a headache. 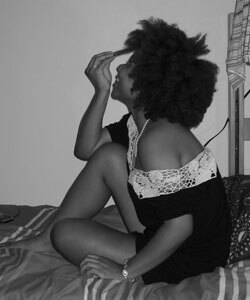 The daily maintenance for a picked afro would stunt my length retention progress, and I am not a fan of breakage. I had my first blow out two to three weeks ago, and I’m pretty sure everywhere I walked Beyonce’s “Imma a diva” chorus was playing with every step I took. That hair was just too much. I live in Houston, Texas, what was I thinking? The wind is blowing, I’m sweating, people are trying to see where they are going — it was just too much going on. I had to keep moving it out of my face and it was a distraction wherever I went. By the end of the day, my hair was in a French braid. It will probably be better to rock in the winter, but I have no desire to do that again in high temperatures and dew points. Apparently July was National Lazy Natural Hair Month. Well, at least for me it was. 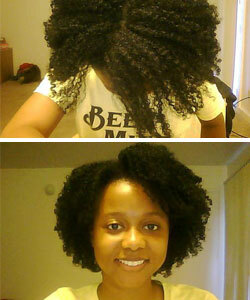 After doing flat-twist outs for the past seven months, I was burned out. I was working at a fast food restaurant that required me to wear a hat, so I gave in to wearing wash-and-gos for convenience. It was then that I discovered my wash-and-gos had hang time. I put my hair in a low ponytail for work the next day. At the end of my shift, my hair was dry, and I shook it out of the puff. Bam! I finally had hang time and once again! As great as the definition was, my hair suffered. I had so many single-strand knots, it was horrific. When I did get back into the routine of flat twisting again, every time I got to my ends, it made me sad. I did not trim it until early September, but I plan to get a professional trim sooner than later. Yet again, another fail. I often find myself bored with my hair because I love versatility, but I realize that simplicity in my regimen is key to a healthy hair and avoiding frustration. One day I had to realize that, even though I want length, I’m probably not going to do half of the styles I drool over on Tumblr. Healthy convenience is what I crave, and that's easier to obtain with either long or extremely short hair. I have my days when I want to be creative, but they are few and far between when in comes to adapting it to my lifestyle. As my hair grows out, I am learning that my focus has changed from wanting to achieve the healthiest potential of my hair versus exploring styling options. What about you? 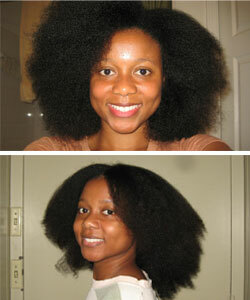 Do you find yourself choosing simplicity of maintenance over variety and style when it comes to your coils?